Experience the ultimate rail journey through the Canadian Rockies. 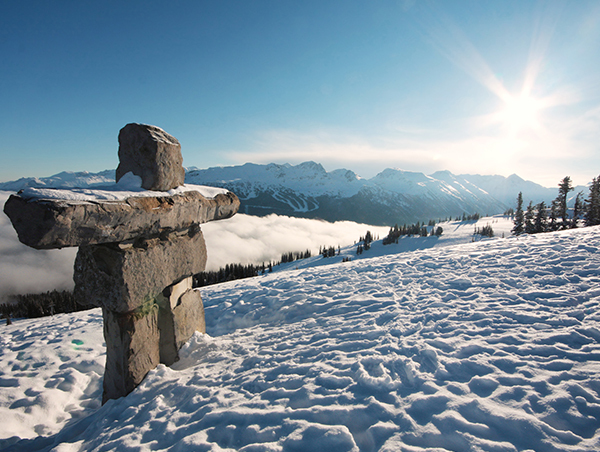 Stay overnight in Whistler before journeying to Jasper, Lake Louise and Banff, where there will be plenty of time to shop, explore and max out your camera’s memory card. 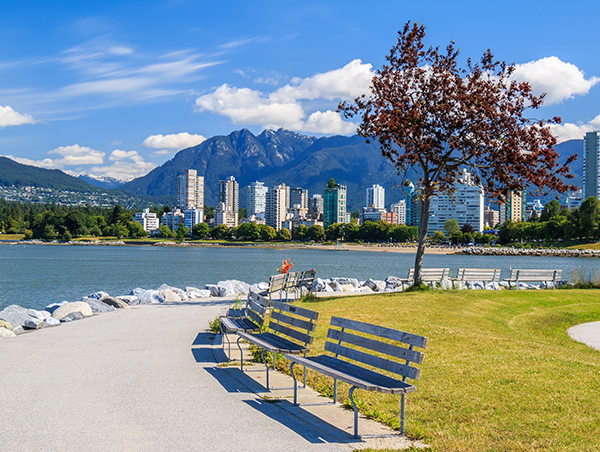 Arrive in Vancouver and spend time exploring this scenic city on your own. Overnight in Vancouver. Travel onboard the Rocky Mountaineer from the coastal city of Vancouver to the resort town of Whistler, renowned for outstanding skiing and year-round outdoor activities. Following your check-in at and motorcoach transfer from your downtown Vancouver hotel, the Rocky Mountaineer takes you on a breathtaking rail journey through the stunning scenery of the Sea to Sky Corridor. Highlights of the trip include spectacular views of Howe Sound and the Coast Mountains, Brandywine Falls, Mount Garibaldi and the impressive Cheakamus Canyon. The remainder of the day is at your leisure. Overnight in Whistler. Travel onboard the Rocky Mountaineer to the charming rural town of Quesnel, gateway to the North Cariboo. Enjoy breathtaking and varied scenery, from the river canyons and lush farmland of the Pemberton Valley, through the desert-like conditions of the Fraser Canyon, to rolling hills and vast ranchlands of the Cariboo Plateau. Highlights include the shorelines of Anderson Lake and glacier-fed Seton Lake, sweeping views of the Fraser Canyon, and the crossing of Deep Creek Bridge, one of the highest railway bridges in the world. Your day concludes as the Rocky Mountaineer follows the banks of the Fraser River into Quesnel. Overnight in Quesnel. 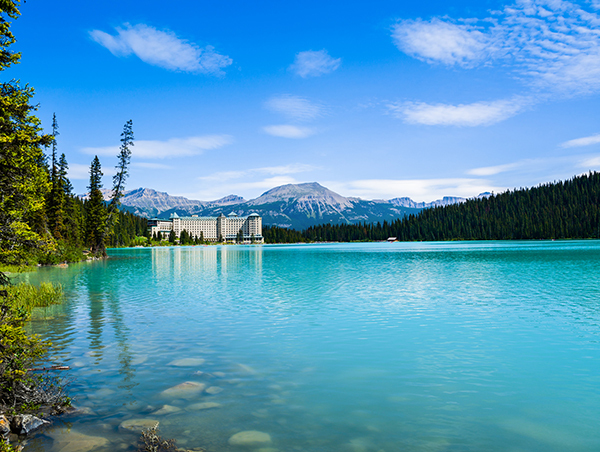 Your journey continues eastwards today to the majestic Canadian Rockies and Jasper National Park. From Quesnel, the Rocky Mountaineer follows the Fraser River north to the town of Prince George, then travels east through the forests of northern British Columbia, home to plentiful wildlife, including a large population of moose. Entering the Rocky Mountain Trench you are surrounded by the steeply rising Rocky Mountains to the north and the Cariboo Mountains to the south. Continue climbing past Mount Robson, at 3,954 metres (12,972 feet) the highest peak in the Canadian Rockies, through Yellowhead Pass into the province of Alberta. 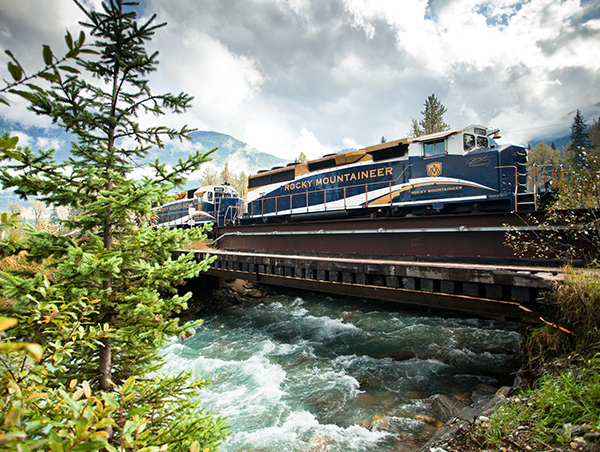 Your rail journey ends today on arrival in Jasper. Overnight in Jasper. Jasper National Park is a UNESCO World Heritage Site and the Canadian Rockies’ largest national park. Today you will enjoy a scenic half-day tour of some of the park’s natural attractions and rugged peaks, and perhaps catch a glimpse of the wildlife that calls this region home. The remainder of the day is free for you to explore more of Jasper independently. Overnight in Jasper. Travel to Lake Louise via one of the most scenic highways in the world, the Icefields Parkway. A stop will be made at Athabasca Falls before arriving at the Columbia Icefield. Here you will ride on an Ice Explorer to the middle of the Athabasca Glacier to learn more about its geological features. Your driver/guide will explain how glaciers are formed and point out some interesting geological features. Time will be available for lunch (not included). Afterwards, a brief stop will be made at Bow Lake before arriving in Lake Louise this afternoon. Overnight in Lake Louise. Enjoy a free day in Lake Louise. Local activities include canoeing, hiking in the mountains or simply relaxing and taking in the magnificent views. Overnight in Lake Louise. This morning you are free to explore beautiful Lake Louise on your own. After lunch, a half-day tour takes you into Yoho National Park to view some of its natural wonders. Among the attractions are the Spiral Tunnels, Emerald Lake and a natural rock bridge that spans the Kicking Horse River. At the end of the tour you will be transferred to Banff. Overnight in Banff. Please note: While departure from The Fairmont Chateau Lake Louise will be approximately 2:00 p.m., scheduled checkout time is normally 12:00 p.m. Your luggage will be stored upon checkout and you are free to enjoy the amenities of the hotel before the tour departs. 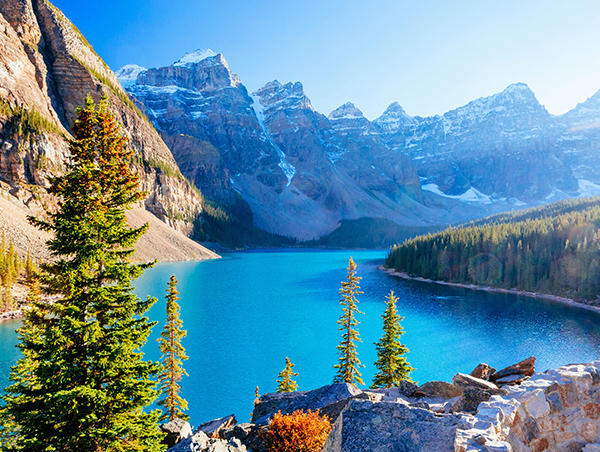 The day is free for you to spend at your leisure in Banff. Overnight in Banff. Travel onboard the Rocky Mountaineer from the mountain town of Banff to Kamloops, in the heart of the British Columbia Interior. Your journey takes you through a spectacular array of scenery as you travel between the glacier and snow-capped peaks of the Canadian Rockies, over mountain passes and through remarkable tunnels, along rocky lakeshores and across the ranchlands of the Interior. Today’s highlights include the Continental Divide, the Spiral Tunnels, Kicking Horse Canyon, Rogers Pass and Craigellachie, where the last spike of the Canadian Pacific Railway was driven. Overnight in Kamloops. Your journey continues west towards the Pacific Ocean and the coastal city of Vancouver. On today’s journey you will again see dramatic changes in scenery, from the desert-like environment of the Interior, through winding river canyons and pristine forests, to the Coast and Cascade Mountains and the lush green fields of the Fraser Valley. Highlights include the steep slopes and rock sheds along the Thompson River and the rushing waters of Hell’s Gate in the Fraser Canyon. Your rail journey ends on arrival in Vancouver this evening. Overnight in Vancouver. Your vacation ends upon checkout from your Vancouver hotel.